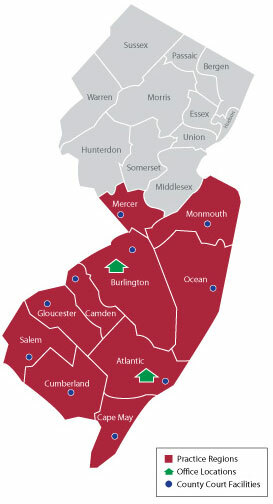 Servicing 10 counties in New Jersey. Drake Law Firm, P.C. operates and serves clients in 10 different Counties occupying all of South Jersey and portions of Central Jersey. Our offices are currently located in Marlton, Burlington County and in Absecon, Atlantic County. Drake Law Firm, P.C. operates and serves clients in 10 different Counties occupying all of South Jersey and portions of Central Jersey. Our offices are currently located in Marlton, Burlington County and in Absecon, Atlantic County.Drake Law Firm, P.C. operates and serves clients in 10 different Counties occupying all of South Jersey and portions of Central Jersey. Our offices are currently located in Marlton, Burlington County and in Absecon, Atlantic County.Drake Law Firm, P.C. operates and serves clients in 10 different Counties occupying all of South Jersey and portions of Central Jersey. Our offices are currently located in Marlton, Burlington County and in Absecon, Atlantic County.